Gascony is a region in southwest France that's more synonymous with Armagnac than with table wine. However, their wines are nothing to sneeze at! 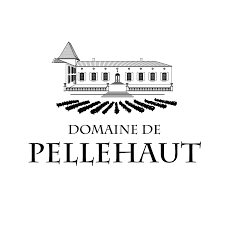 This bottle is from Domaine de Pellehaut (also a Armagnac producer). It's made from Chardonnay, plus a whole host of local grapes: Ugni Blanc, Colombard, Gros Manseng, Petit Manseng, Folle Blanche, and Sauvignon Blanc. I'm a huge fan of the wines of the neighboring region of Jurançon. These wines are typically made from Petit Manseng and Gros Manseng -- grapes that are also used in this Côtes de Gascogne blend. It caught my eye, and particularly at $9.99, it was worth a try! Review: The wine is a bright but pale lemon color, with intense aromas of grapefruit, lemon zest, and green plums. The palate is technically dry, but with just enough sugar to give it a soft, round texture. Tropical fruit is the star here: pineapple, green mango, grapefruit. The finish has a hint of bitterness, lending a nice contrast to the fruit. I do wish there were a bit more acidity in the wine to give it some more brightness, but all in all this is a highly quaffable wine. Food Pairing: We paired it with leftover meatloaf sandwiches. I think chicken or seafood might be a bit more complementary, but this was just fine. Bottom Line: Easy drinking, approachable white at a solid approachable price point. Perfect Monday night bottle.